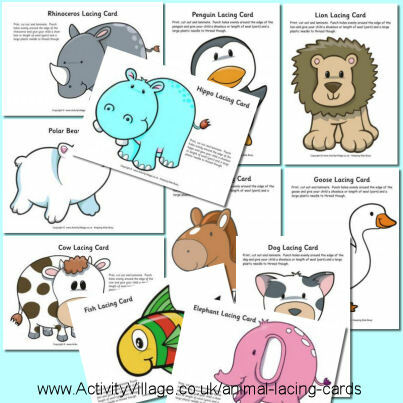 We've added a whole bunch of new lacing cards today, featuring some really cute animals, birds and sea creatures. You'll find something for all ages here, from a pink elephant and turquoise hippo which are sure to appeal to younger children, to our more complicated lion and dog outlines. Just print onto card, punch holes around the edges, and lace or sew. Of course you can laminate the cards for repeated use, too.